GM Lemos dissects 14 attacking masterpieces to reveal the most effective methods of attacking the king, whether in the opening or the middlegame, and no matter where the king is or how many pieces are desperately trying to defend him! 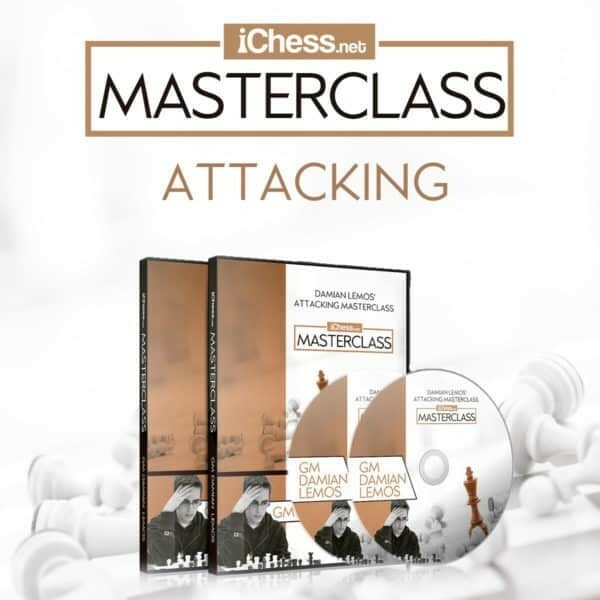 Discover the secrets of attacking play with this new, 10 hour course from GM Damian Lemos! Every aspect of attack is studied, from typical sacrifices to the positional attack, from pawn storms to powerful piece formations. If you want to break through your rivals’ stubborn defense with spectacular attacks that live long in the memory, take Damian Lemos’ Attacking Masterclass!